TapinRadio Pro is simple, fairly reliable and works most of the time. Plenty of stations to choose from and continuously updated. 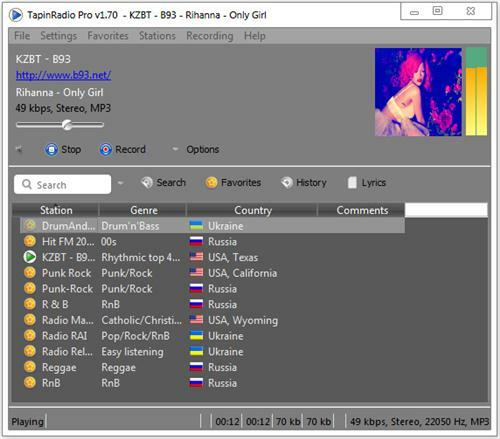 Supports most of the internet radio formats - mp3, wma, ogg, aac. Quick search. Graphic Equalizer. Scheduled recordings. Record what you are listening to - as separate tracks or continuously. Automatic checking for software and station listing (only if configured in settings). Show your favorites in groups. Alarm feature. Sleep timer to shutdown TapinRadio or even your computer!